Ludwig Maximilians Universitaet (LMU) in Munich physicists at the Laboratory for Attosecond Physics have developed a new laser-light source that will lead to significant advances in research on fundamental physics. The new generation of lasers could be utilized to explore the elementary processes that underlie natural phenomena, as the ability to generate pulses of high-energy light with a wavelength of 60 nanometers, in the extreme ultraviolet segment of the spectrum, is now within reach, opening a new window on the microcosmos. Such pulses are sufficiently energetic to excite helium ions, which would allow the frequency of the associated emission to be precisely determined with the frequency-comb technique, for which LMU Prof. Theodor Hänsch won a Nobel Prize in Physics in 2005. This type of laser spectroscopy provides a means of determining the values of constants of nature with extremely high precision. The thin-disk laser promises to become a standard item of equipment for basic research in attosecond physics and laser spectroscopy. The future of electronics lies in optical control of electron flows. That would enable data processing operations to be performed at frequencies equivalent to the rate of oscillation of visible light – some 100,000 times faster than is feasible with current techniques. Physicists at the Laboratory for Attosecond Physics (LAP), which is run jointly by LMU Munich and the Max Planck Institute for Quantum Optics (MPQ), have developed a novel light source that brings the age of optoelectronics closer. The team describes the new instrument in the journal "Nature Communications." Most of the lasers utilized in research laboratories are based on Titanium:Sapphire (Ti:Sa) crystals. But all the indications are that thin-disc laser systems will soon displace their older rivals, which employ rod- or slab-like crystals. The team at the LAP has now introduced the Ytterbium:Yttrium-Aluminium-Garnet (Yb:YAG) disk laser. The instrument emits pulses lasting 7.7 femtoseconds (1 fs = 10-15 s, a millionth of a billionth of a second), which corresponds to 2.2 wave periods. The average pulse power is 6 W and each pulse carries 0.15 microjoules of energy, 1.5 orders of magnitude greater than that attainable with commercial titanium:sapphire lasers. Physicists are already able to control the waveform of the emitted pulses with considerable precision, but the new system extends this capacity even further. Exquisite control of the temporal shape of the electromagnetic fields of the light waves is indispensable for their use in the switching of electron flows in condensed matter and in single atoms, and hence for optoelectronics. Secondly, pulse length must be limited to a few femtoseconds. Previous experiments carried out by the team at the LAP had shown that it is indeed possible to switch electric currents on and off using specially shaped electromagnetic wave packets, i.e. phase-controlled laser pulses. However, the maximum switching rates achieved in these experiments were on the order of a few thousands per sec. This limit has now been spectacularly breached. The new laser is capable of producing tens of millions of high-power pulses per second, and it ushers in a new era in the investigation of ultrafast physical processes. This field focuses on phenomena such as electron motions in molecules and atoms, which can take place on attosecond timescales (an attosecond lasts for a billionth of a billionth of a second, 10-18 sec). The ability to generate attosecond laser pulses effectively permits electron motions to be "photographed". 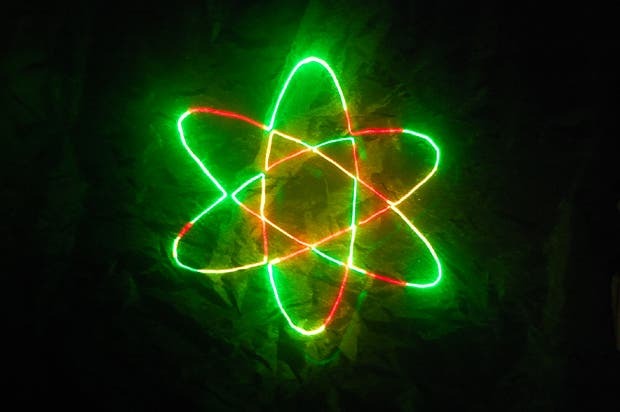 With the advent of the new laser, atomic photography moves into a new phase. Characterization of rare events in the microcosmos with the Ti:Sa systems now used in attosecond laboratories requires observation times of hours or even days, assuming they can be captured at all. The new instrument improves data acquisition rates by a factor of between 1000 and 100,000, making it possible to study such phenomena in far less time and in much greater detail. NASA –"Is It On the Verge of Discovering 'Warp Bubbles' Enabling Dreams of Interstellar Travel?